Hi! My name is Sudarshan Muralidhar. I am a software developer and programmer, passionate about big-data systems and scalable/cloud computing. Currently, I am the CTO of LeapYear Innovations, a technology/consulting startup applying cutting-edge research to solve complex problems. 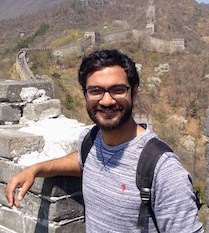 I have developed my software skills through the Singh Program in Networked and Social Systems Engineering and the master's program in Computer and Information Science at the University of Pennsylvania. I am proficient with web and database technologies, and am comfortable coding in languages such as Java, Python, OCaml and Haskell. Further, I have significant experience with cloud and big data technologies, such as AWS, OpenStack, and Hadoop. This site is a showcase for my projects. Below are some of the projects that I have worked on. Click on the image to enlarge and view a description.